This 20-part (5,000 word) VPN guide gives you everything you need to know about Virtual Private Networks. It does not contain any affiliate links or paid content – just tons of useful information. With the continual erosion of online privacy and an alarming number of security threats, more people than ever are turning to VPN services. Appear to be anywhere in the world by replacing your IP address and location with that of the VPN server. Restore your privacy by encrypting your internet traffic and thereby making it unreadable to third parties, such as your internet service provider, network admin, or surveillance agencies. Secure your devices from hackers, attacks, and the risks of public WiFi networks. Unblock restricted content no matter where you are located in the world. Aside from security and privacy concerns, another major driver of VPN usage is online censorship in the form of content restrictions and blocked websites. From China to the UK and North America, more people than ever are using VPNs to have a safe, secure, private, and unrestricted online experience. Table of contents – Here are the topics we’ll cover in this 20-part VPN guide. VPN client – Software that connects your computer/device to a VPN service. The terms ‘VPN client’ and ‘VPN app’ are used interchangeably. 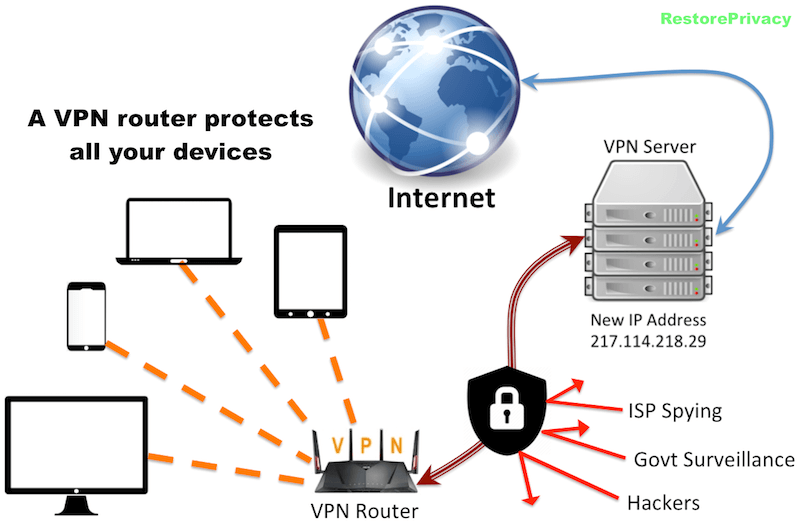 VPN protocol – A VPN protocol is basically a method by which a device creates a secured connection to a VPN server. VPN server – A single endpoint in a VPN network to which you can connect and encrypt your internet traffic. VPN service – For our purposes here, a VPN service is an entity that provides you with the ability to use their VPN network – they usually also provide VPN software, but not always. Access is usually sold via a subscription. The terms ‘VPN service’ and ‘VPN provider’ are used interchangeably. Now we will get into the basics of how a VPN actually works. A VPN works by creating an encrypted connection between your computer/device and a VPN server. Think of this encrypted connection as a protected “tunnel” through which you can access everything online, while appearing to be in the location of the server you are connected to. This gives you a high level online anonymity, provides you with added security, and allows you to access the entire internet without restrictions. A VPN will encrypt, secure, and anonymize your internet traffic, while also unblocking content from anywhere in the world. Without a VPN, everything you do online is traceable to your physical location and the device you are using via the device’s IP address. Every device that connects to the internet has a unique IP address – from your computer to your phone and tablet. By using a VPN, you will hide your true location and IP address, which will be replaced by the VPN server you are using. Most VPN providers maintain servers all around the world. This gives you lots of connection possibilities and access to worldwide content. After purchasing a VPN subscription and downloading the software for your device, you can instantly connect to any of these worldwide servers. Now that you know how a VPN works, let’s cover the reasons for using one. So why are more and more people around the world using VPN services? Prevent your Internet Service Provider (ISP), third parties, network admins, and governments from spying on your online activities (thanks to encryption). Torrent, P2P download, and stream media (such as Kodi) in safety. Now that we’ve covered why a VPN is used, we’ll move on to another question that many people have about VPNs. As a general rule of thumb, VPNs are safe to use – as long as you are using a high-quality VPN service. But therein lies the catch. There are currently over 300 VPNs on the market – even more when you consider all the random free VPN apps in the Apple and Google Play stores. Unfortunately, most VPN services – particularly the free VPNs – have flaws, bugs, and problems that pose a threat to your security and privacy. In other words, there are very few high-quality VPNs that will keep you safe and protect you against data leaks on all your devices. For example, one interesting study found that 84% of free Android VPN apps leak user data. While most people know that free VPNs should be avoided, there are still millions of people using these dangerous apps. There are also a number of different VPN scams to watch out for – from dubious “lifetime” VPN subscriptions to bogus features and fake reviews. As a general rule of thumb, you get what you pay for when it comes to VPN services. Throughout the Western world the answer is yes, VPNs are absolutely legal to use for the purposes of online privacy and security. In fact, businesses every day use VPNs – and that will not change any time soon. However, there are a few exceptions in places like the United Arab Emirates, where VPN use is currently restricted. Some Middle Eastern countries, such as Saudi Arabia and Iran, frown on the use of VPNs because these governments work hard to censor the internet and social media. Naturally, they don’t like anything that lets people get around their censorship efforts. But even still, the laws in these countries generally doe not outlaw the VPN itself, but rather the use of a VPN to bypass the government’s censorship efforts. This is also the case in China, where the government has been fortifying its “Great Firewall” to block VPNs and websites (see the best VPN for China to get around these issues). 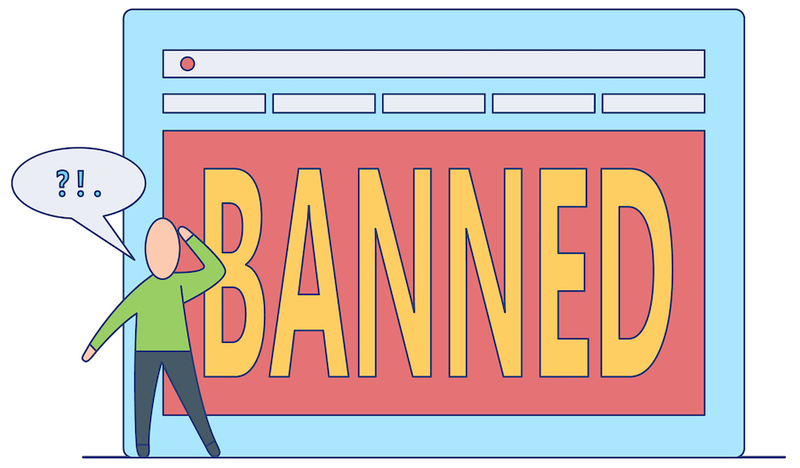 Russia has also attempted to “ban” some VPNs – but these measures often fail, simply because VPN traffic can be hidden to look like regular HTTPS traffic. There are a few VPN providers that do quite well with obfuscating VPN traffic in their apps. These include ExpressVPN, VPN.ac, NordVPN, and VyprVPN. Important note: VPNs are routinely used by businesses around the world for network security. Therefore you will likely never see an outright “ban” on all VPNs because they are absolutely necessary for both businesses and individual security. But can’t people use VPNs to do bad things? Of course, but you should think of VPNs like steel. Steel can be used for good purposes, such as bridges, buildings, and transportation. But it can also be used to build bombs, guns, and tanks, which harm people. Completely banning steel because it is sometimes used for bad purposes would be insane and stupid. The same is true for encryption and VPNs. Banks, businesses, and any website that deals with sensitive data must use encryption technology every day. VPNs and encryption are necessary tools that we all need to be using, even if a few people misuse this technology for their own reasons. The exact instructions for setting up a VPN depends on the device you are using and the VPN service you will be connecting to. Most VPN providers – especially the ones recommended on this site – offer simple installation guides for all major operating systems and devices. After purchasing a VPN subscription, download the VPN software for the device / operating system you will be using. Once the VPN client is installed on your device, log in to the VPN service using your credentials (through the VPN app). Connect to a VPN server and enjoy using the internet with privacy and freedom. Windows, Mac OS, Android, and iOS users also have the option of using the built-in VPN capability on their operating systems. This uses the IPSec/IKEv2 or IPSec/L2TP protocols, rather than OpenVPN, which requires the use of apps. You will need to import the VPN configuration files from your VPN provider if you want to go this route. The most common way to use a VPN is through a VPN client (VPN app) offered by your VPN provider. This also gives you all of the features and full leak protection settings (recommended). A good VPN can provide you with both online privacy and security. Without a VPN, your internet service provider (ISP) can easily monitor and record your online activities: sites you visit, comments you make, social media interactions, preferences etc. Many countries now require ISPs to log user data and browsing activities. A VPN is the best solution to protect yourself against these privacy violations. When using a VPN, your ISP can only see that you’re online and connected to a VPN server. That’s it. Your information is encrypted and secured, which makes it completely unreadable to third parties. With a VPN, public WiFi hotspots are once again safe to use, thanks to secure encryption that protects your data. Using public WiFi without a VPN is risky because hackers can exploit public wireless to steal your identity, credit cards, bank accounts, passwords, etc. A VPN will encrypt and protect this data from third parties and hackers. Will a VPN make me 100% anonymous? Given all the different ways someone can be de-anonymized online (particularly through browser fingerprinting), a VPN alone will not give you 100% anonymity. In fact, with the vast resources of surveillance agencies such as the NSA, it is probably very difficult to ever achieve 100% online anonymity. Use a secure browser that protects against browser fingerprinting (your browser can reveal lots of information to third parties). Use a good ad blocker. Advertisements are basically tracking in disguise, collecting your activities online, profiling you, and then using that data to target you with better ads. As you can see, a VPN is just one of many privacy tools you can use to attain more online privacy. Most commercial VPN services offer a variety of different VPN protocols you can use with the VPN app. What exactly is a VPN protocol? 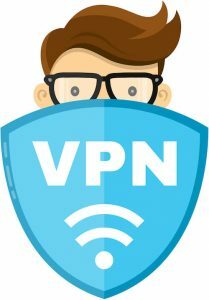 A VPN protocol is a set of instructions to establish a secure and encrypted connection between your device and a VPN server for the transmission of data. OpenVPN – OpenVPN remains the most popular and most secure VPN protocol that is used on all types of different devices. 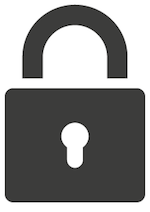 OpenVPN is an open-source project developed for multiple types of authentication methods. It is a very versatile protocol that can be used on many different devices, with a variety of features, and over any port with UDP or TCP. OpenVPN offers excellent performance and strong encryption using the OpenSSL library and TLS protocols. 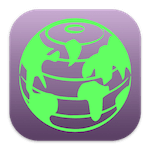 IKEv2/IPSec – Internet Protocol Security with Internet Key Exchange version 2 is a fast and secure VPN protocol. It is automatically pre-configured in many operating systems, such as Windows, Mac OS, and iOS. It works very well for re-establishing a connection, especially with mobile devices. The one downside is that IKEv2 was developed by Cisco and Microsoft and is not an open-source project, like OpenVPN. IKEv2/IPSec is a great choice for mobile users who want a fast, light-weight VPN that is secure and can quickly reconnect if the connection is temporarily lost. L2TP/IPSec – Layer 2 Tunneling Protocol with Internet Protocol Security is also a decent choice. This protocol is more secure than PPTP, but it does not always have the best speeds because data packets are double-encapsulated. It is commonly used with mobile devices and comes built-in on many operating systems. PPTP – Point-to-Point Tunneling Protocol is a basic, older VPN protocol that is built-in on many operating systems. Unfortunately, PPTP has known security vulnerabilities and is no longer considered a safe protocol for privacy and security reasons. WireGuard – WireGuard is a new and experimental protocol that aims to offer improved security and better performance in comparison to existing VPN protocols. While it remains under active development and has not yet been audited, there are a few VPN providers supporting it for testing purposes only. See my WireGuard guide for more details. Each VPN protocol has its own pros and cons. OpenVPN is the most popular and widely-recommended, because it is secure, open-source, and also offers good performance. But it also requires the use of third-party apps. L2TP/IKEv2 is also a secure protocol with excellent performance and it can be used natively on most operating systems (no apps required) – but it’s not open source. As a general rule, most VPNs allow you to select the protocol you want to use within the VPN client. When using a VPN on mobile devices, you may be limited with VPN protocols, particularly with iOS devices that use IKEv2/IPSec. See the VPN protocols guide for more of a discussion on each option. AES (Advanced Encryption Standards) is one of the most common cryptographic ciphers in use today. Most VPNs utilize AES encryption with either a 128-bit or 256-bit key length. AES-128 is considered secure, even with the advances in quantum computing. OpenVPN 256-bit AES is kind of overkill, rather use AES 128-bit. We don’t expect anyone to go for AES cracking while there are weaker links in the chain, such as the RSA keys: how are they generated (good or poor entropy, online/offline generation, key storing on servers etc.). Therefore, AES-128 is a very good choice over AES-256 which is mostly used for marketing claims (“bigger is better”). Aside from AES, there are other VPN ciphers, such as Blowfish and Camellia, although they are rarely offered by VPN services. When it comes to privacy, it’s good to pay attention to logs and logging policies. Usage (browsing) logs – These logs basically include everything you do online: browsing history, times, IP addresses, metadata, etc. Unless you are using a free VPN, your VPN service is most likely not maintaining usage logs. No logs – While there are many VPNs that claim to be ‘no logs’, there are only a few that have been verified to be truly no logs VPN services in real-world tests. Most VPNs will need to keep some form of logs if they’re enforcing any kind of limitations, such as device/connection limits or bandwidth limits (further explained here). Minimal connection logs that are secured and regularly deleted are not very concerning – but it all depends on the user. When you’re using a VPN, a lot is going on behind the scenes. Your computer is encrypting and decrypting packets of data, which is being routed through a remote VPN server. All of this takes more time and energy, which will ultimately affect your internet speed. To ensure the fastest speed while using a VPN, it’s best to connect to the closest VPN server that fits your needs. For example, if you’re in the UK and want to watch blocked videos that are available to people in the United States, choosing a VPN server in New York is better than a Los Angeles server. 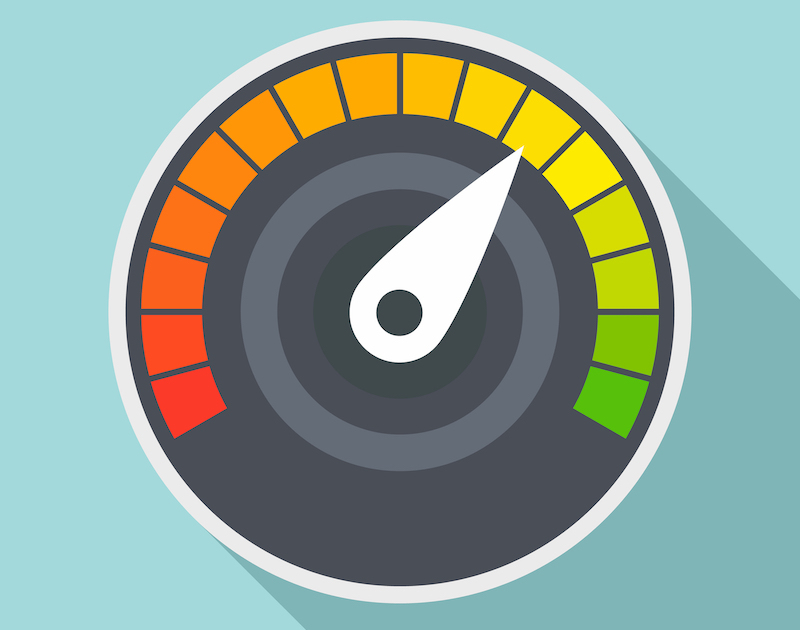 A good VPN service should not affect your internet speed considerably. On the other hand, some of the lower-quality VPN services may significantly decrease your internet speed. This is often the case when their servers are overloaded with users. For testing VPN speed and more of a discussion on all the different variables, check out the VPN test guide. Get a premium VPN service with good performance. Connect to a nearby server that is not congested with other users (lots of available bandwidth). Try changing VPN protocols if the first two options do not work. VPN speeds may also be limited by the device you are using, your network, or your internet provider throttling VPN connections. Can you use a VPN for streaming? Aside from online privacy and security, VPNs are also used by thousands of people around the world for streaming. Streaming Netflix through a VPN – using a Netflix VPN is a great idea no matter where you live. 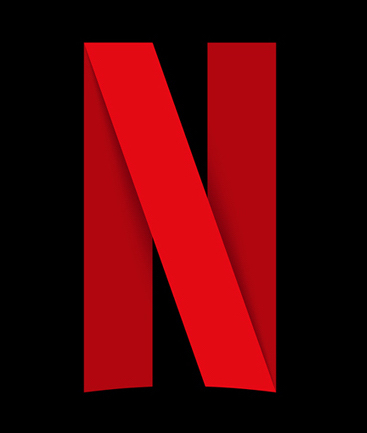 This allows people living anywhere in the world access to American Netflix, which offers the largest media library. VPNs are also popular for other streaming services, such as Hulu, Amazon Prime, and BBC iPlayer. Many expats living outside their home country use VPN services to unblock websites, streaming, and channels in their home country. Another very popular use for VPNs is with torrenting and P2P downloads. When you use a VPN for torrenting, your true identity and IP address will be concealed from third parties. While we do not support any illegal activity or copyright infringement here at Restore Privacy, it should be obvious that torrenting without a VPN is dangerous – even if you are just downloading a single song. Media companies often run networks of monitoring nodes, which will join torrenting swarms and collect connection data of all infringing parties. Then, the media companies can go to the internet service providers that own the IP addresses they collected, and link these up to users along with connection times. The user will then be fined or sued for copyright infringement on behalf of the copyright holder. The best solution here is to always torrent with privacy by using a good VPN. Do VPNs work on Android and iOS devices? Yes, you can use a VPN on Android and iOS devices. With custom VPN apps. Most providers offer custom VPN apps for both Android and iOS devices, which are usually fast, stable, and offer different features. With third-party VPN apps. There are also popular, third-party VPN apps that you can use with your VPN service, such as OpenVPN for Android, which is free and open source. With built-in VPN functionality. With Android, you can use the built-in IPSec/L2TP functionality. With iOS, you can use the built-in IPSec/IKEv2 functionality. Both operating systems have VPN preferences in the settings area. You will need to import the configuration files from your VPN provider into your phone/tablet. While VPNs have improved significantly on iOS and Android, they still don’t work quite as well as they would on a computer. The main reason for this is that using a VPN is a bit more complicated than typical applications, requiring connection to external servers, encryption, and decryption. Naturally, this is a bit challenging on a phone which may go in and out of connectivity. WARNING: Be very careful with mobile VPN apps from third parties. There are many shady VPN apps that are dangerous and should be avoided. Do your research before installing the VPN app and remember that highly-rated apps in the Apple and Google Play stores can still be full of malware – as explained in this study. Your best bet is to only use the VPN mobile apps offered by your VPN provider. Can I use a VPN on a router? Yes, VPNs can be used on many different types of routers, but you will need to verify that your router can support a VPN. The VPN router guide gives in-depth instructions for setting up a VPN on a router, as well as the different options for obtaining a VPN router. 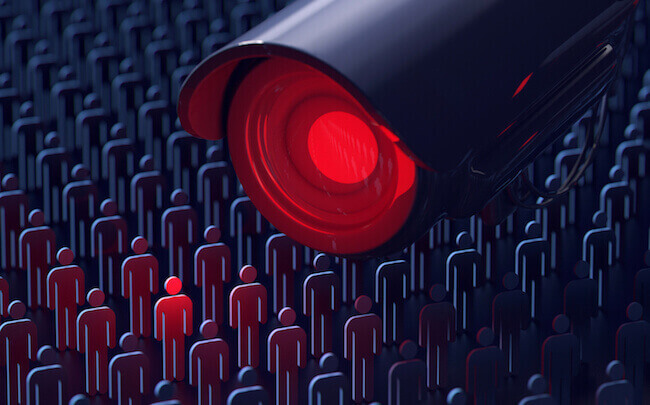 With ISP spying now a common fixture in many countries, a VPN router offers the best solution for securing your entire network from prying eyes and third-party monitoring. The trick to getting this setup correctly is first choosing a good VPN service and then selecting the right router – the rest is easy. Important note: The main factor when choosing a VPN router is the router’s CPU (processing power). Unfortunately, most consumer-grade routers are underpowered and do not do well with VPN encryption. While there are some newer models with higher CPU, there are also other options to maximize speed, which I discuss in the VPN router guide. VPNs and Tor are both privacy tools that offer online anonymity, but they are very different from each other. For many people, the biggest red flag with Tor is that it was a US government project and is still financed by the US government today. There have also been numerous issues with malicious Tor nodes. Many also suspect that government agencies are operating Tor nodes for surveillance purposes. I discuss these risks and more in the in-depth Tor guide. Connect to a VPN > Launch Tor browser: This method is pretty basic and self-explanatory. Simply use your desktop VPN client and connect to a VPN server, then open the Tor browser and use Tor as normal. This won’t give you great speeds, but it’s a simple way to use “Tor-over-VPN”. Use a VPN service with servers that exit onto the Tor network. In this case, you can simply connect to a designated “Tor-over-VPN” server, and your traffic will automatically leave the VPN server, exit onto the Tor network, and then go through to the regular internet. I have tested out two different VPNs that offer this feature: NordVPN and ZorroVPN. It should also be pointed out that you can get many advantages of Tor, such as multi-hop configurations, with VPNs. There are a few VPN providers that offer multi-hop VPN servers and cascading support – see my multi-hop VPN guide for an in-depth discussion of this topic. DNS leaks – This occurs when your DNS requests leak out of the VPN tunnel and are processed by your internet provider. This can reveal your browsing history (DNS requests), the IP address of your internet provider, and your general location. IP address leaks – An IP address leak is simply when your IP address leaks out of the VPN tunnel. This can be a short, temporary leak, or a continuous leak, as is sometimes the case with IPv6 addresses. WebRTC leaks – This is mainly an issue with Firefox, Chrome, Brave, and any other Chromium-based browsers that utilize WebRTC APIs. A WebRTC leak exposes your IP address through your browser, even if you are using a good VPN. See my WebRTC leak guide for how to fix this problem in your browser. This is one reason I recommend regularly running VPN tests to check for any problems, leaks, or vulnerabilities. All of the VPNs in the best VPN service report have been thoroughly tested for leaks and passed all tests. Restrictive countries – China, UAE, and Iran all implement some form of VPN blocking, because they do not want people using VPNs to get around government censorship efforts. School networks – School networks sometimes block VPNs for two reasons. First, they want to be able to monitor everything you do online, which is easy to do if you aren’t using a VPN. Second, they may want to block torrenting, streaming, and other high-bandwidth activities. A VPN allows you to easily get around these restrictions (and access any blocked websites). Work networks – Work networks often block VPNs for the same reasons mentioned above: they want to control and monitor workers’ online activities. The best way to get around VPN blocks is with obfuscation. VPN obfuscation basically hides VPN traffic behind standard HTTPS (Hypertext Transfer Protocol Secure) encryption, such as when you connect to a banking website over port 443. Unless you are in a restricted network situation where VPNs are getting actively blocked, you should not need to use obfuscation, since it may affect performance. Which VPN is best (for you)? Many people are wondering ‘what is the best VPN service’. The truth is that choosing a VPN is a very subjective process and there is no single one-size-fits-all “best VPN” for everyone. Ultimately, finding the best VPN all boils down to your own unique needs and use cases for the service. Some people may want an offshore VPN with the highest encryption standards and advanced privacy features. Others may want a secure and user-friendly VPN that works great with Netflix and torrenting. How much privacy and security do you need (threat model)? On what devices will you be using the VPN and does the provider offer support for these? What will you be using the VPN for and does the VPN support those use cases? For example: torrenting, streaming Netflix, Kodi, etc. There are many other factors to consider, such as jurisdiction and also logging policies, but this is a start. 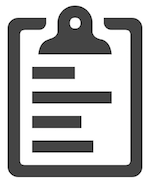 You can find the latest test results and recommendations in the best VPN report. The future of VPNs is looking very bright – but not for the right reasons. Mass surveillance, corporate tracking, and online censorship are three drivers that will continue to push VPN usage higher. Western governments are increasingly blocking various websites – from adult content to torrenting sites. Mass surveillance continues unabated in much of the world. United States: Internet providers are now able to legally record your browsing history and sell this information to advertisers – or hand it over to government surveillance agencies. United Kingdom: The UK is one of the worst countries in the world for privacy. Internet providers and telephone companies are required to record all browsing history, text messages, and location data of their customers. This data is provided to UK government agencies and is available without any warrant. 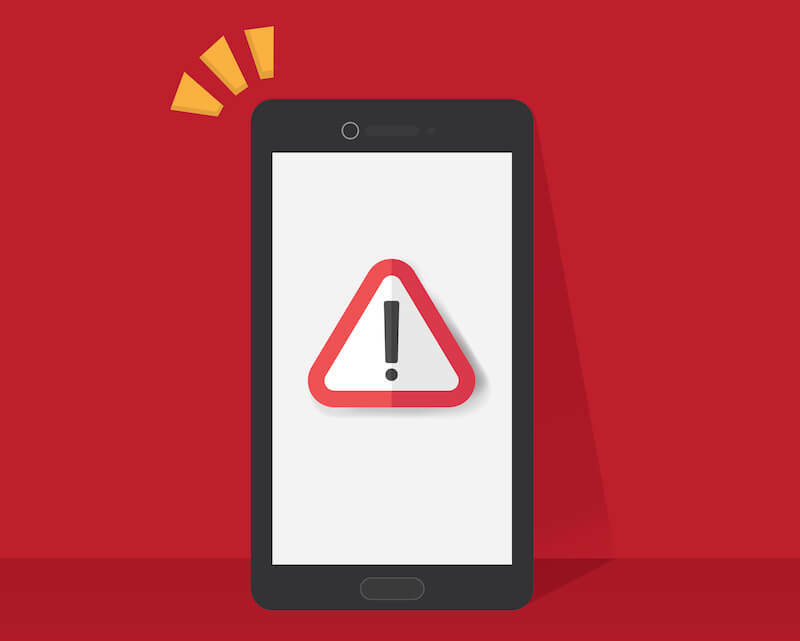 Australia: Similar to the UK, Australia implemented a mandatory data retentions scheme requiring telecoms to collect text messages, calls, and internet connection data. Going online without a VPN really leaves you exposed. As people wake up to the risks of surveillance, data collection, and security threats, VPN usage will continue to grow – perhaps becoming mainstream in the near future. Hey Sven, I know youre probably really busy right now, I was just wondering if you plan on doing a Mullvad review anytime soon? They look like a very promising choice for those looking to protect their anonymity. I am a disabled adult living on a government pension, there is no extra money for anything as you may well imagine. I am looking for a completely free vpn or open source vpn to protect my internet usage. Can you recommend one that is completely free and easy to use for the less tech user. Hi Chris, I can’t say I’d recommend any free VPN or Tor. That being said, you can harden your browser (see the secure browser guide) for maximum privacy, install HTTPS Everywhere which will encrypt traffic between your browser and the HTTPS sites you are visiting and also install an ad blocker (check out uBlock Origin). Note that HTTPS Everywhere does not conceal your browsing history from your internet provider or other third parties and only encrypts traffic for HTTPS websites, but it’s better than nothing, and this is all free. Me it’s not a pension and only hundreds not thousands monthly. So it’s imperative that if money has to be forked up, it’s spent well and understood why it’s important as being spent on something. Your most likely having the time to research into all of this. Take small steps – keep organized notes – draft a plan with an outline to the overall direction of your goal/your privacy. I’d advise never going with a free VPN, just like anything associated with the web as free – it’s not completely free as your surrendering your most important self data. Seek a paid trustworthy VPN, trying out at first or understand it’s refund policy – then going with multiple years brings a monthly cost basis down. See the Internet as the interstate roadways, where your with many other commuters. Factory tinted windows – tinted tag plates. Blend in as just one of the many brown fords in the traffic flow. Point being common as and concealed is harder to stand out – as opposed to commuting of a top down flashy red convertible with personal tags – that would be as online with your ISP IP address shown in the open. – Cops are on the beat and spy’s in the sky on roadways, the internet also shares in your IP address liability of the digital traces you’ll spread and then has it’s own cops and spy’s. As in using a VPN, your moving your trust, speed, viewable web data from an ISP you’ve paid for over to a VPN service. The ISP no longer can easily intercept, snoop and view your data. – You’ll still use the ISP to connect to the internet. A VPN is not a replacement for it. But, instead of the ISP communicating directly with a web page, the ISP now talks to the VPN server that talks to the web page encrypted. *It’s the VPN server that connects to the website you wish to reach. The key point now is the connection between your device and the VPN server is encrypted in what’s called a VPN Tunnel. The ISP can still intercept the data, but that data is no longer viewable to it. In other words, the ISP is aware you’re sending and receiving things but has absolutely no way of knowing what those things are. That is till a dropout occurs in the VPN service at anytime. The moment a VPN connection drops, the encrypted VPN Tunnel is lost, and the ISP can once again view and analyze anything of your transmitted data. Good paid for VPN’s have a KILL SWITCH for this purpose and then likely will handle all you DNS requests on their ens as well. Your connections cannot be linked to your computer…and you. You can visit any website and your ISP doesn’t know where you’ve been. VPN connections are super encryption secure. The network is hack proof and all of your Internet activity is encrypted (coded) and unreadable in transit. No more blocks or censorship. Whoever can’t now prevent you from getting to websites based an your IP address location. Your true IP address is hidden! You’re unidentifiable online because you can constantly be using a different IP address, never your ISP own. In fact, it typically looks as if you’re in a different part of the world from wherever you really are if you choose too. I have a question: should VPN be used for online gaming? Logically it could increase ping and lower fps a bit, but what is the trade-off? It kinda puzzles me, because if we want to play a game it also means we have to accept EULA and install game on our computer which then has access to almost any file. If so then shouldn’t it be more important to read eula/research what information game collects than encrypting connection to game server? And second question: what about services (ie. banks) that require geo-location? Connecting to vpn server in same country should be sufficient? Shorter connection routes between you and gaming servers can reduce ping times and overall lag (much better performance). Keep your data and files safe behind an encrypted gaming private network. ‘you are correct in suggesting that VPNs are playing “word games” when it comes to logs. As I said in this article, there is no definition of “logs” or “no logs” – so anything goes. @ So there is no understood and an applied standard to Logs methodology in the VPN industry and it’s a shame. @ So if their servers are located in different countries than where the VPN headquarters is, how is jurisdiction of a VPN playing a key role here ? If servers can be seized in countries other than the VPN headquarters location what jurisdiction laws take a president to the located servers being seized? In one the suggestion – ‘Adjust use of two VPNs together to keep things more anonymous.’ I know you go into to this elsewhere on your site. Would the paid Connectify Hotspot Max program offer anything else to the equation of a VPN’s usage ? Connectify Hotspot PRO and MAX let you easily share the Internet connection from your 3G or 4G LTE mobile broadband device. In Wired Mode, Connectify Hotspot PRO and MAX let you share your computer’s Wi-Fi connection via Ethernet so that older gaming consoles, computers, and any other Ethernet-only device can get online. All premium versions of Connectify Hotspot let you broadcast a totally custom name (SSID) for your Hotspot. -With Bridging Mode enabled, your Connectify Hotspot MAX connects devices on your Hotspot directly back to the network you’re broadcasting. -By default Connectify Hotspot Max automatically chooses an available IP so you don’t have to worry about configuration. For power users that want more control over their hotspot, Custom IP and DHCP controls ensure that particular devices connect on a user-specified IP range. I get a little lost up in it all every time I’m thinking of going to another VPN service provider. I know already, and needless to say, do your homework on a reliable and trusted VPN to use. All can point back to you at some point in the end. But isn’t a good understanding also understood in, if their servers are encrypted, the kind used (baremetal, ram disk, virtual, etc.). Are they physically located in the countries where they are claimed in. If the VPN company has physical access to them and by their own personnel. As well, has complete control over its network and servers, that does includes their own DNS servers as well. So for example, a server in a New York data center would be operated and leased by a VPN in Switzerland, with the VPN remaining under Swiss jurisdiction. While a server could potentially be monitored for traffic, the offshore VPN is still not subject to New York jurisdiction. See the multi-hop VPN guide. Yes Sir, you do your research for your site topics and articles information, I’ll have to visit that multi-hop VPN page again. New York (USA) data center leased a Server in their complex to a VPN headquartered in Switzerland for one of their Servers located in their Server service configuration (locations) provided to it’s clientele. I fully understand your answer of ‘VPN remaining under Swiss jurisdiction’. That’s not where my question was headed had I asked only it – sorry I ran to many together. Trying to help myself and others understand if the Headquartered Switzerland VPN leased Server in the New York (USA) data center location fell to what governing jurisdiction then – by what principal ? Location or origin of leaser. Does the leased Switzerland VPN Server in the New York’s data center location have any legal privileges and immunities from that New York state but, most importantly the United States Government? Barring the known – servers will be fully encrypted, secured, and under control of the VPN provider, thereby preventing third-party access to sensitive user data and traffic. Not worried about third-party access but, State and Federal government authorities and in this case the 3-letter agencies… I guess some stored information is there if the Server was an exit point of any user – though shared IP’s. Just for the sake of knowledge wondered who had legal jurisdiction rights for said Server or any like leased Servers anywhere in the USA. The VPN host country or the Servers host country? OK, so a server physically located in New York at a data center would be under NY jurisdiction (even though it’s operated by a foreign VPN). A VPN service operating in Switzerland would be under Swiss jurisdiction (even though they are operating foreign servers). 1. Somebody uses an ExpressVPN server connection to delete social media posts relating to a crime. 2. Turkish authorities trace this activity back to an IP address at a data center in Turkey, with a server that is operated by ExpressVPN. 3. Turkey contacts ExpressVPN and demands that they hand over the name of the user and all logs/information they have about the user. 4. ExpressVPN declines the data request because: 1) they are not subject to Turkey jurisdiction because they are based in the British Virgin Islands; and 2) they do not maintain any logs, and therefore cannot identify the user or provide any information. 5. Turkish authorities get upset and then go to the data center and physically seize ExpressVPN’s server to try to extract data. 6. The Turkish authorities are unable to obtain any information because there are no logs or personally identifiable information available on the server. This is a true story illustrating jurisdiction and servers – also explained in the no logs VPN guide. I don’t know which vpn to buy… I got a new router Netgear XR500 and want to used it for gaming and online, No streaming got Netflix on comcast apps. Can I used vpn on my router to protect myself and family’s. Hi Jack, yes, see the VPN router guide. I am looking for a decent comprehensive book(s) , video(s) , or curated list(s) for understanding VPN and VPN alternatives for privacy & anonymity & plausible deniability? Please check out this thread for my question and some people’s answers. The conclusion is there is no such comprehensive resource for newbies like me to learn about VPN and VPN alternatives. Hi Bill, well, that’s what I’m trying to do with this site – i.e. provide lots of information and resources without getting overly complex. I’m not aware of any books, but ExpressVPN has a huge video library on YouTube explaining different uses for a VPN and how to set everything up on different operating systems and devices. Have you reviewed unBlockr. They claim to not have the DNS service but there own VPN service. Was looking to see if you have reviewed there VPN service. Thank you for this site and your work. Hi Sylvan, no, I’ve never heard of it before. Looks like a pretty small operation, but I may check it out in the future. Somehow I have second thoughts about installing the client software of these VPN providers (considering these ‘VPN clients’ have total control of my computer and inherently I am giving them the best secret way of communication to anywhere), could you please reassure me the client software of these VPN providers are safe to use. Or are my worries reasonable ? Alternatively is there a way to use these services without the client software, ie. configuring Windows built-in VPN access to the server just with the addresss of the VPN server and my login credentials not using any installed software. I suppose I would lose the extra configuration (like setting up the multihop, etc.) so, but does it work at all without the client? Hi Bela, I share your general distrust of many VPN providers, especially if they are new to the scene. I generally would be much less worried when using software from a reputable VPN with a good track record, but it’s still wise to be cautious. For free open source software, see OpenVPN GUI for Windows, or Tunnelblick for Mac OS.